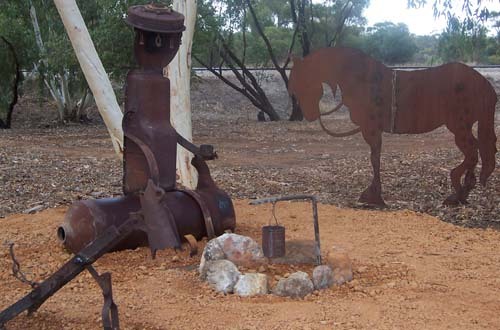 Below is a small sample of the sculptures, mosaics, murals and other public artworks around Goomalling. 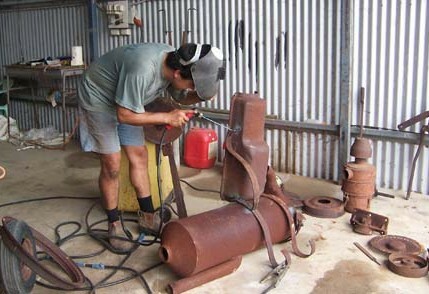 Some were made as community projects and some were generously provided by individuals. 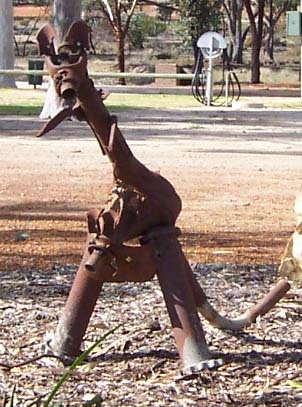 The kangaroo sculpture at the Goomalling Caravan Park (above) and the campfire scene on Railway Tce (below) were made by local farmers. 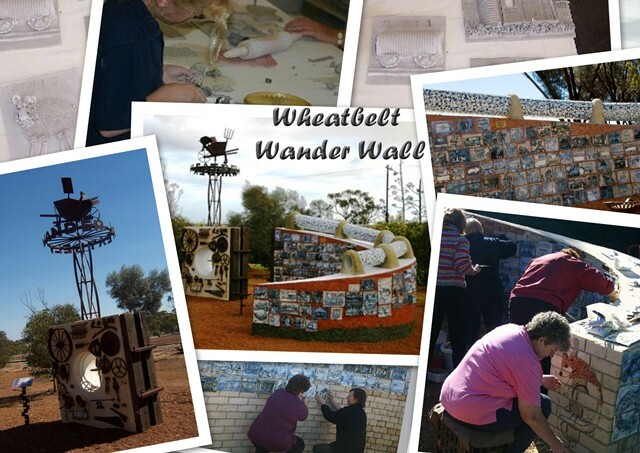 In 2004 Goomalling born artist Fleur Schell engaged the Goomalling schools and broader community to create the Wheatbelt Wander Wall (below) located on Railway Terrace opposite the Tavern. It comprises machinery parts, mosaics, a pipeline and ceramic tiles depicting local history. 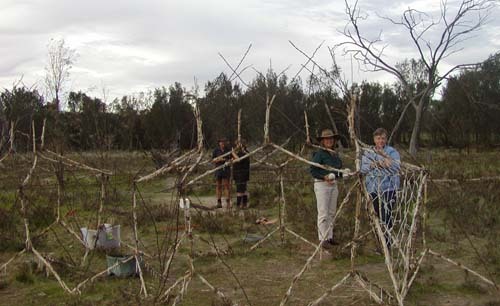 As part of the Salt of the Earth community art project, the Goomalling schools and interested residents joined together to create a "crystal serpent" at Oak Park. 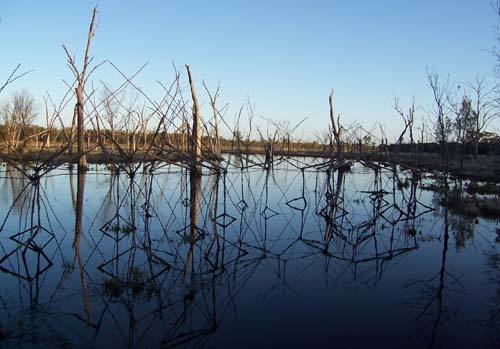 As you can see below, the finished sculpture looks particularly striking when it's flooded.